The event will focus on Managing Sickness Absence. Join us at our next HR Exchange event on Thursday 26th November at our usual venue – Brockholes Nature Reserve, Preston. 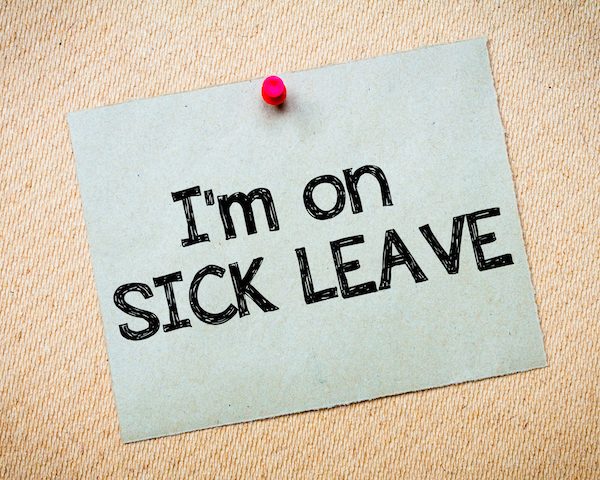 This time, the event will focus on Managing Sickness Absence, this session will be a must for HR professionals, senior managers and business owners who are struggling with long, or repeated intermittent sickness absence. Our guest speaker will be nationally recognised Dr Karen Nightingale of Occupational Health Medical Limited, a consultant occupational health physician currently consulting for companies such as Allied Bakeries, The British Transport Police and Muller UK. Karen will discuss sickness leave from a general medical perspective. Karen will also highlight specific common conditions that employers come across on a regular basis, and some that may not be so regular. Giving practical guidance, and also highlighting the medical considerations that may be relevant to employers managing sickness absence when having to consider their possible obligations arising from the Equality Act 2010. Peter Byrne, Employment Partner at Taylors, will then look at the topic from a legal perspective, to include how to create a capability policy, the implementation of that policy, and the way to carry out a fair procedure when dealing with sickness absence. This will include examples of cases where sickness absence has caused legal issues in the workplace and highlighting the effect and implications of sickness absence being caused by a disability as defined by the Equality Act 2010. The session will end with our usual Employment update presented by Legal 500 recognised Nigel Crebbin and recently promoted Tom Saville from Taylors Solicitors. It’s sure to be a fantastic and informative event – don’t miss it! Numbers are limited, so make sure that you reserve your place by booking now. At the roundabout of the M6 J31and A59 go straight over under the motorway signed A59 to Blackburn. Stay in the left hand lane. Just before the traffic lights, take the FIRST exit signed “Brockholes Nature Reserve” heading north over the river (adjacent to the off-ramp slip road). Follow this road left, round doubling back and under the slip road bridge to the site entrance. As you come off the motorway get in the middle lane. At the roundabout turn right, signed A59 to Blackburn. Stay in the left hand lane. Just before the traffic lights, take the FIRST exit signed “Brockholes Nature Reserve” heading north over the river (adjacent to the off-ramp slip road). Follow this road left, round doubling back and under the slip road bridge to the site entrance. From Samlesbury – At the roundabout of the M6 J31and A59 you need to go all the way round the double roundabout as if you where going to head back along the A59 towards Samlesbury. As you come round the roundabout past the Tickle Trout Service Station stay in the left hand lane. Just before the traffic lights, take the FIRST exit signed “Brockholes Nature Reserve” heading north over the river (adjacent to the off-ramp slip road). Follow this road left, round doubling back and under the slip road bridge to the site entrance. As you come off the motorway turn right at the roundabout towards Preston. Stay in the right hand lane and continue around the roundabout, As you come round the roundabout past the Tickle Trout Service Station stay in the left hand lane. Just before the traffic lights, take the FIRST exit signed “Brockholes Nature Reserve” heading north over the river (adjacent to the off-ramp slip road). Follow this road left, round doubling back and under the slip road bridge to the site entrance. Brockholes is about caring for the natural world and for the environment. One way of protecting that environment is to reduce your carbon footprint so why not come to Brockholes by frequent local bus and on foot, enjoying an easy, level walk along the Ribble of less than a mile – about 20 minutes – to the reserve entrance. If you are coming from Preston Bus Station catch either Stagecoach-in-Lancashire bus 59 or Transdev Lancashire United Ribble Valley Express service X80/280 and alight at the Tickled Trout Motel, just before the M6 junction. In the other direction Bus 59 provides a direct service from Blackburn or Accrington (half hourly weekdays, hourly Sundays) whilst the Lancashire United Ribble Valley Express X80/280 serves Skipton, Barnoldswick, Clitheroe and Whalley, (connections from Burnley). hourly on weekdays, two hourly on Sundays. For downloadable X80/280 timetables log onto www.lancashirebus.co.uk. If you are coming from Preston, alight at the bus stop at the Tickled Trout and walk back over the river bridge, taking the first track on the right by a metal crash barrier fence. Walk 50 metres along the track, before going through the metal kissing gate on the right which leads onto the cycle track, now the Guild Wheel Cycle Way. If coming from the Blackburn or Clitheroe direction, alight at the first bus stop past the M6 which is the Tickled Trout. Either cross the A59 carefully at the refuge, turning left to cross the river bridge to the track on the right, or cross the river bridge to locate steps leading to an underpass, left, under the A59 which joins the cycle path as below. Follow this level tarmac track which soon goes alongside the river and under the concrete arches of the slip roads, motorway and along the vehicle access road to the main entrance to the reserve. You can follow this drive to the Visitor Centre, but a metal kissing gate on the left 20 metres before the entrance gives access to a traffic free walking route parallel to the drive which lead to the Centre.